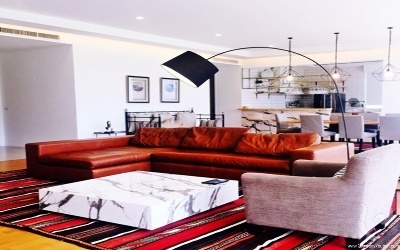 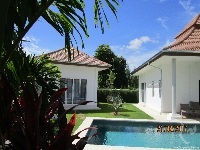 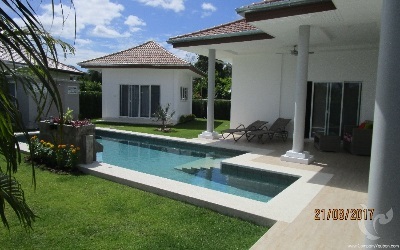 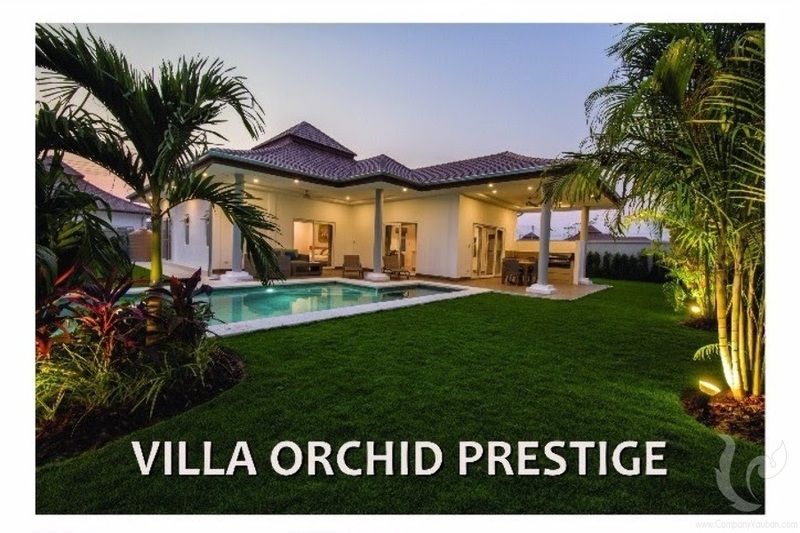 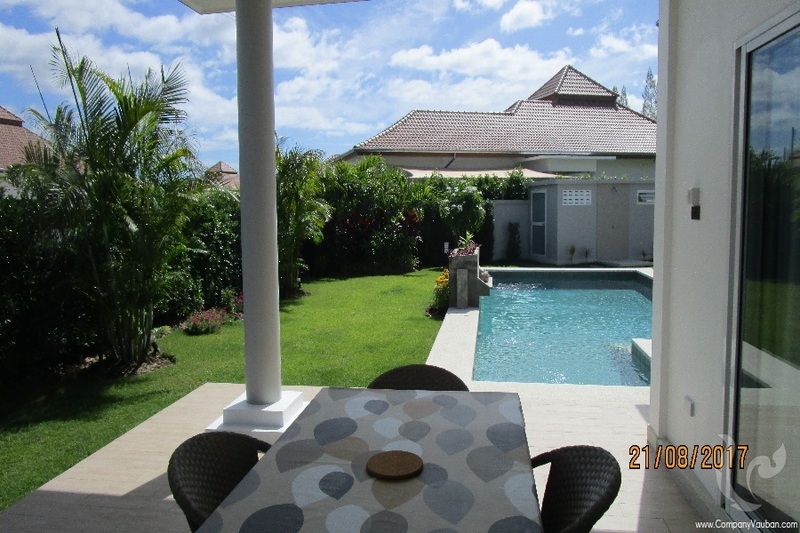 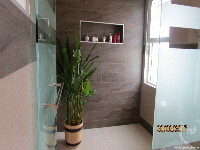 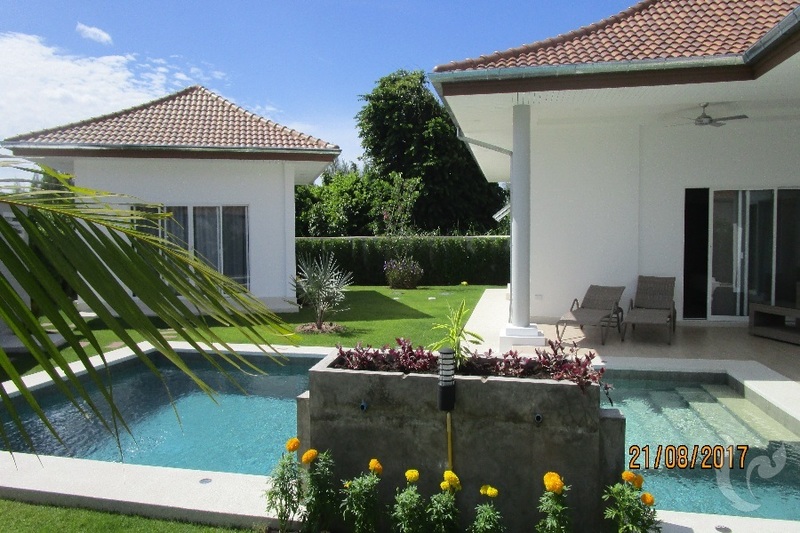 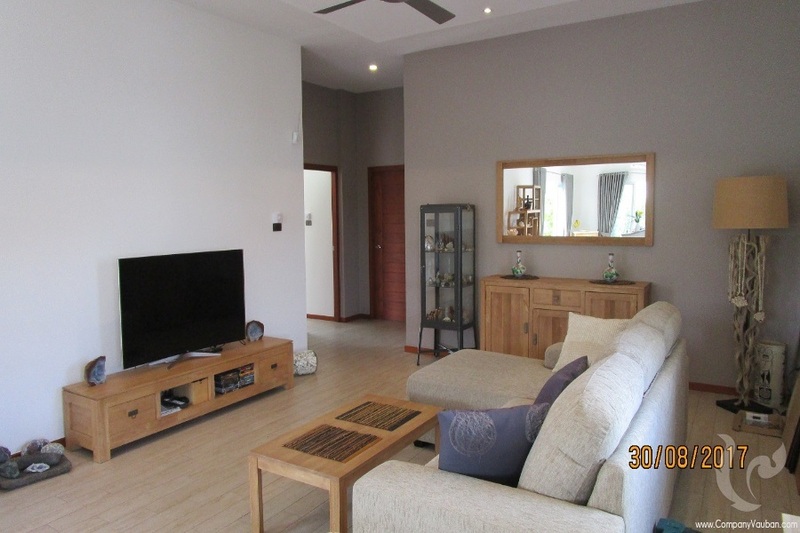 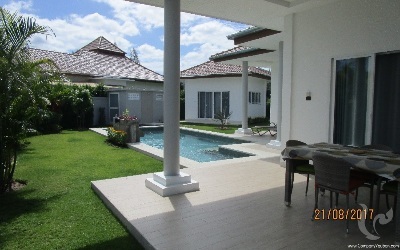 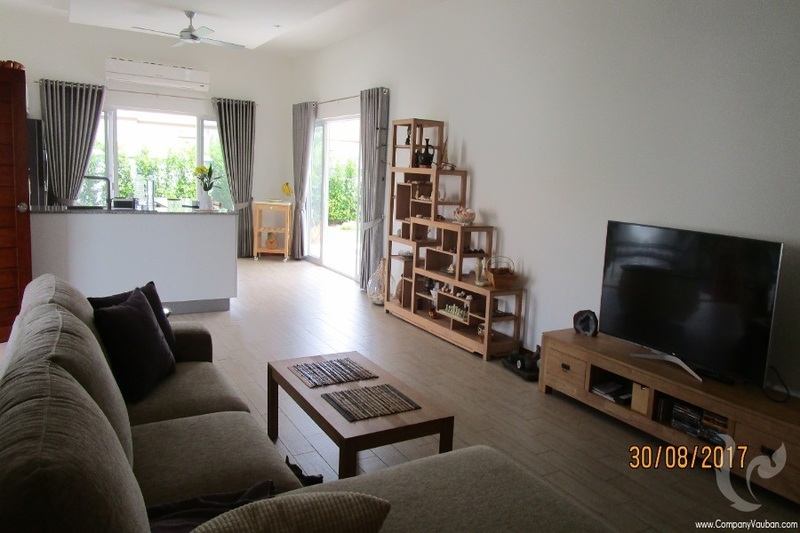 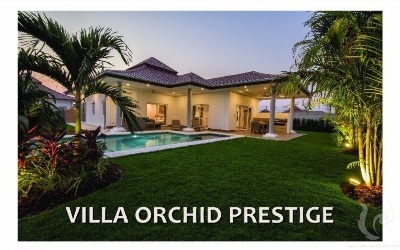 Beautiful 197 sqm villa on a big land of 700 m², composed of 4 bedrooms, 3 bathrooms, a nice and bright living room well decorated. This house has a private pool of 10m x 4m and a separate bungalow of 30 m² for the guests also composed of a small kitchen. 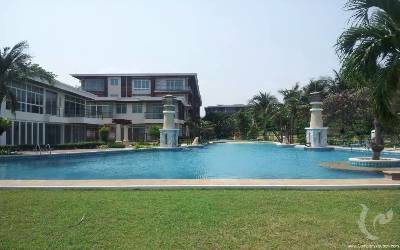 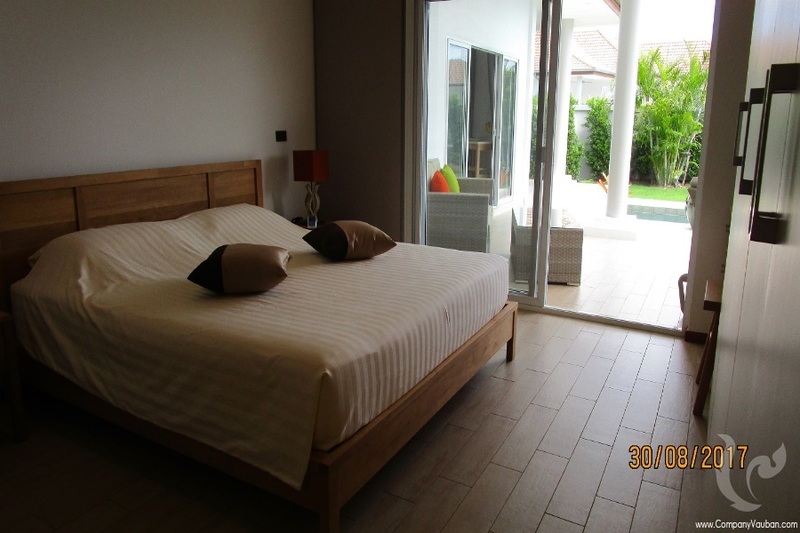 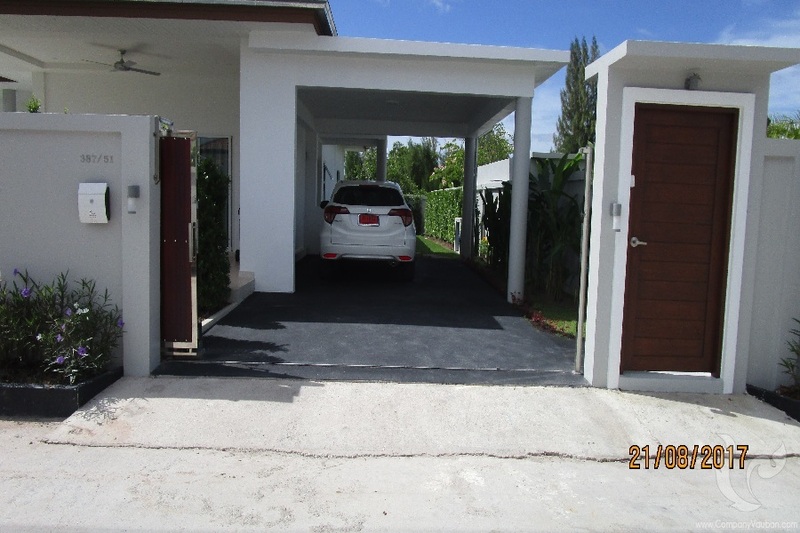 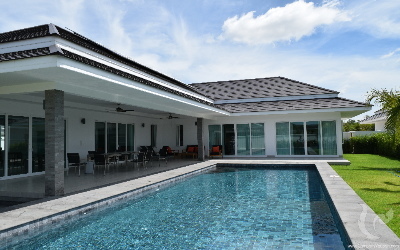 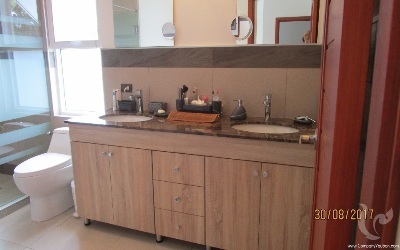 The villa is located in a luxury residence offering many services such as shuttle to the center of Hua Hin 4 times/day and garbage grab. 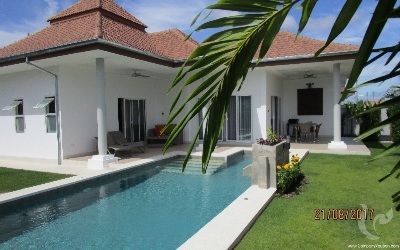 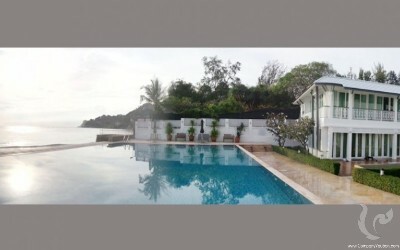 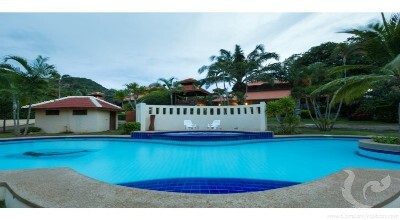 This house has a private pool of 10m x 4m and a separate bungalow of 30 m² for the guest inside of it a small kitchen.